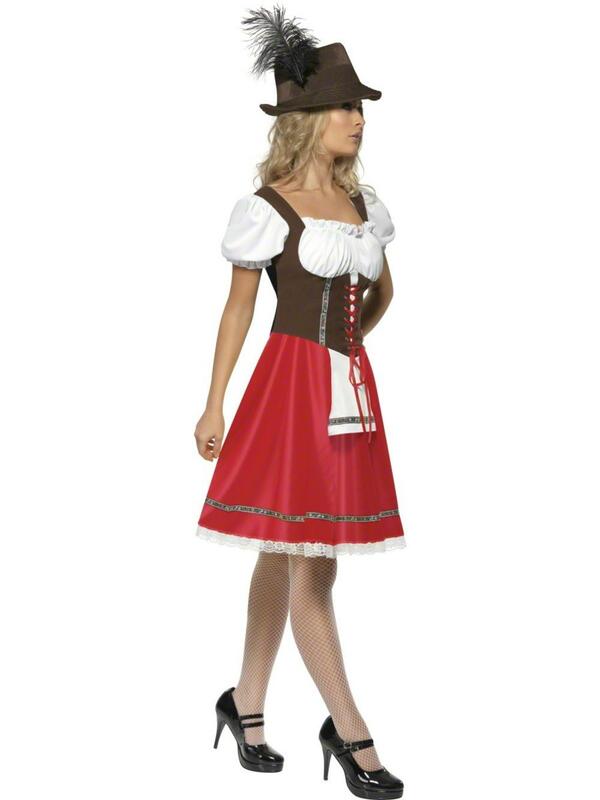 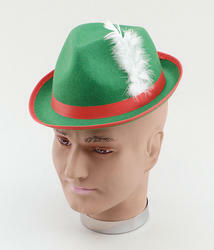 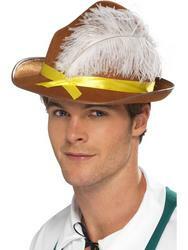 Oktoberfest fancy dress for ladies. Includes a red, white and brown dress with attached apron. 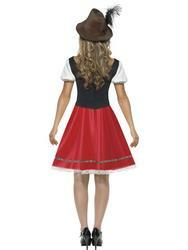 Great outfit to wear during any national dress, Germany, letter B and G themed dress up events.